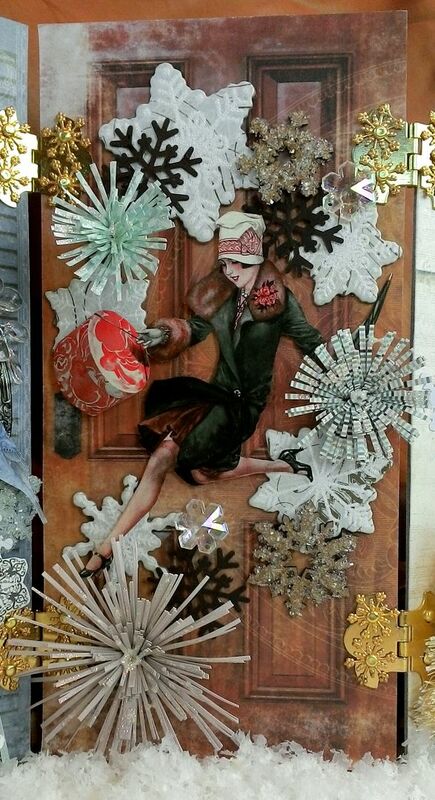 The sweet Christmas ATCs below are some I've recieved in swaps from various artists. Enjoy! 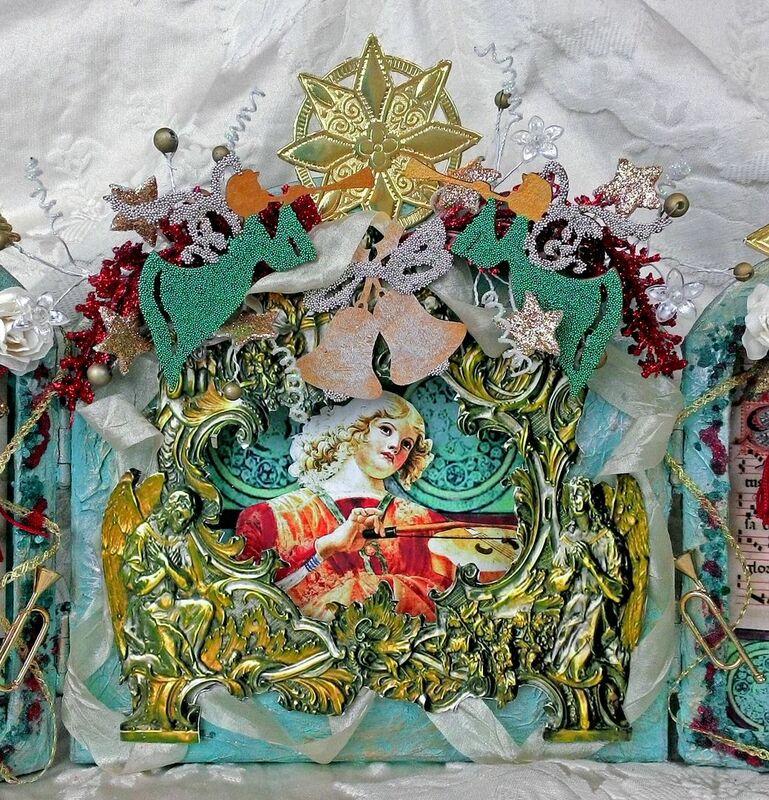 My final Christmas project for you is an Angel Shrine. 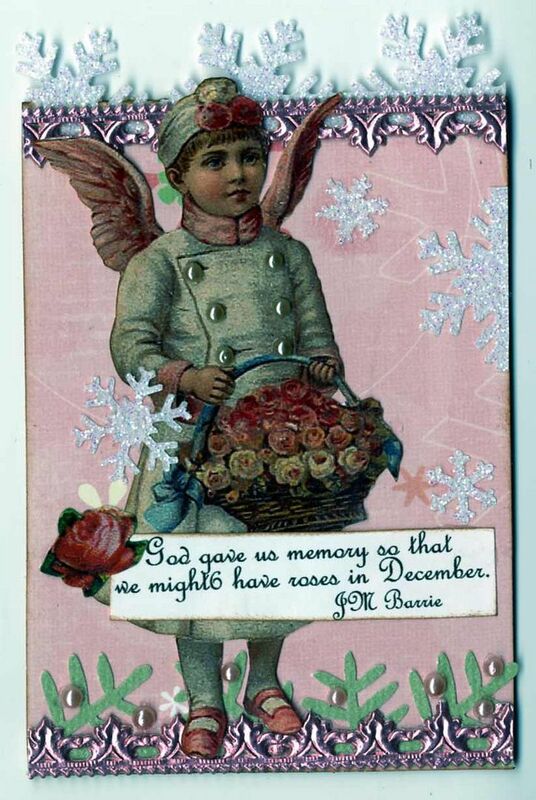 Angels are one of my favorite art subjects. The Paper Mache Cathedral I used for the piece is approximately 8” tall by 14 ½” wide. 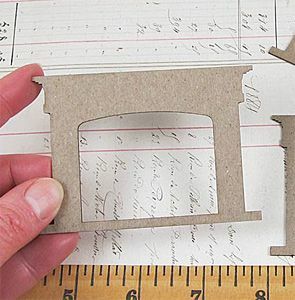 It’s ¾” thick which makes perfect for cutting niches. 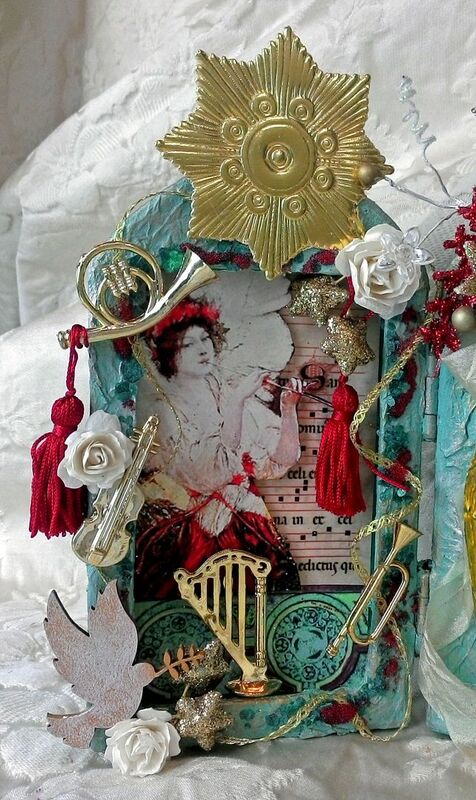 The shrine comes already hinged and the large size means there is lots of room for all kinds of embellishments! 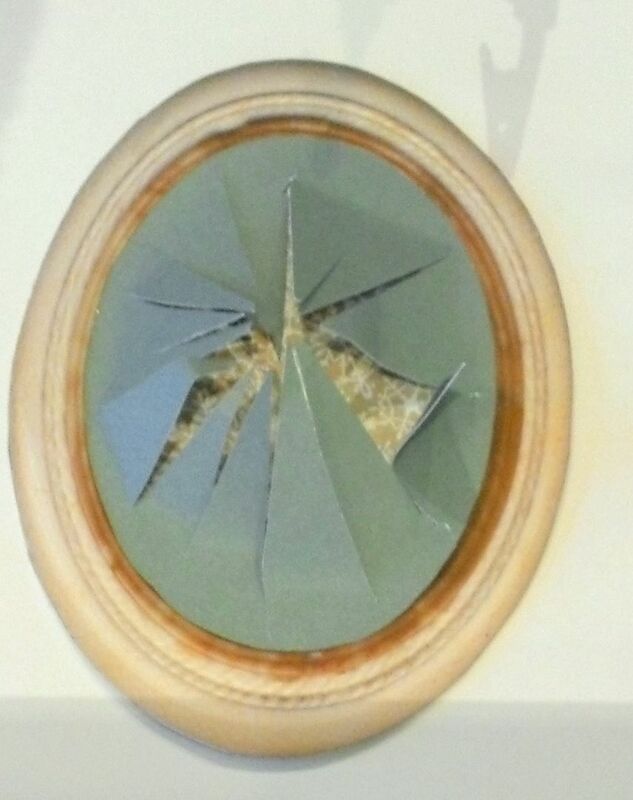 I decided to showcase the center section by using one of the frames from my Antique Frames Digital Image set. 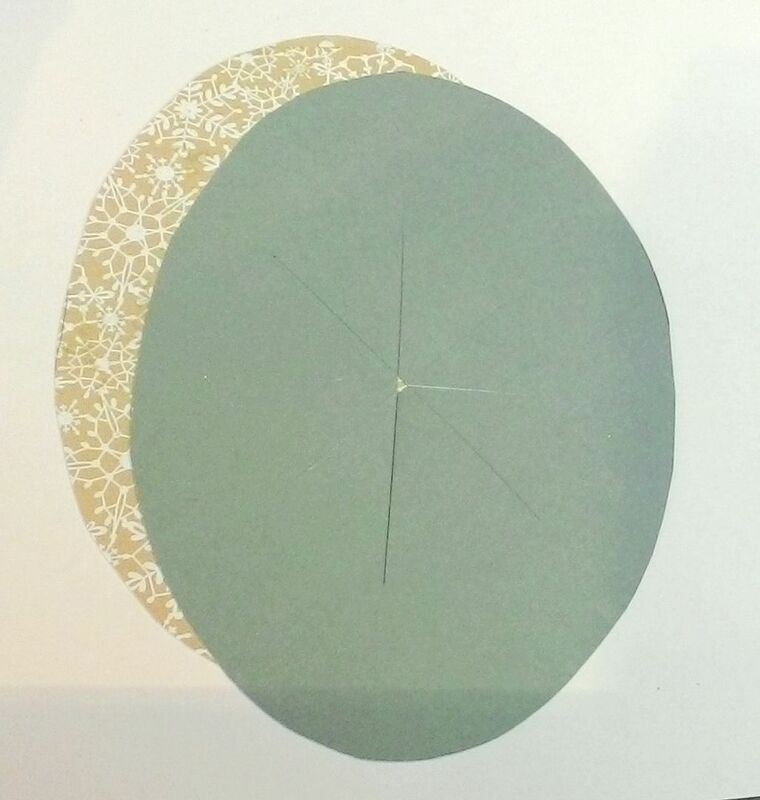 After sizing, printing and backing the frame with cardstock I placed it on the shrine and traced the center section. 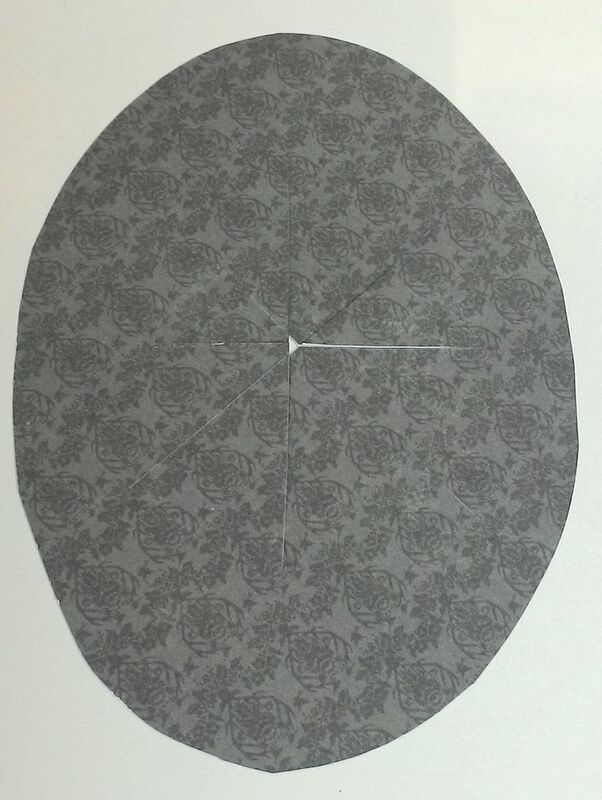 I used the trace marks to determine where to cut the hole. Next, I cut holes in the sides and the center. At this point I knew I wanted to use a tissue paper technique to add texture to the shrine. I had not decided on how to color the shrine so I started by painting everything white. 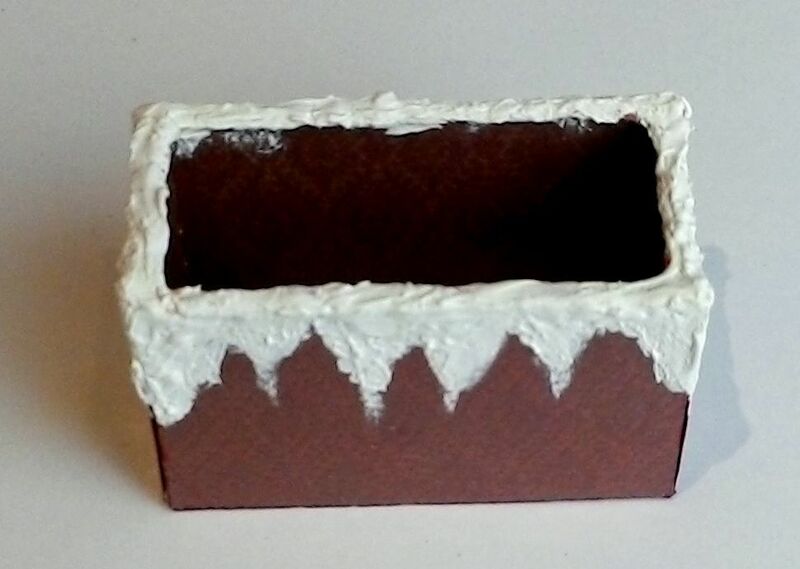 By painting it white, I blocked out all of the color of the paper Mache so that whatever coloring product I choose, it would not be altered by the color of the paper Mache underneath. Next, I applied crumpled and torn tissue paper to all the surfaces of the shrine using Mod Podge. Just as with the color, I hadn’t decided what parts of the shrine would be covered with paper and what parts wouldn't, so I textured all of the areas. It’s so much harder to go back and texture something later if you change your mind. 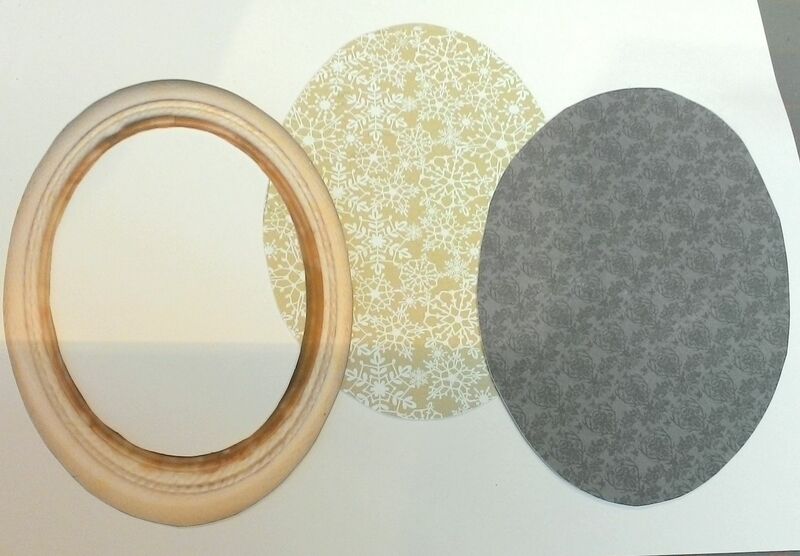 Click here for a detailed tutorial on the tissue paper texture technique. To color the shrine, I first started with Patina Gilder’s Paste. 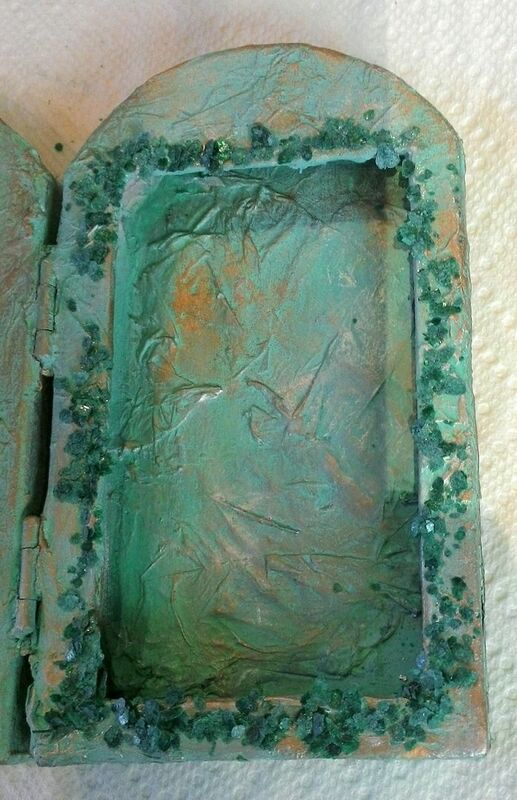 Since I was covering such a large area I thinned the paste with Mineral Spirits and then applied it to the shrine. 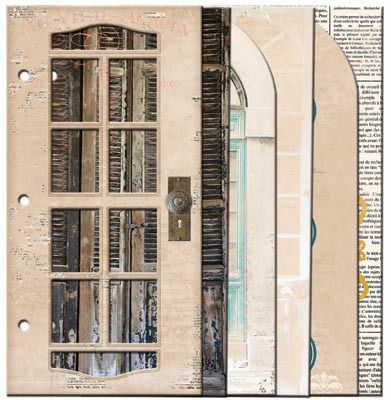 I chose Patina Gilder’s Paste as opposed to paint, as it was the perfect color to complement the images. Next, while wearing a plastic glove, I used my fingers to apply Silver Gilder’s Paste (without thinning) to the raised areas. This gives the shrine metallic highlights. Finally, I repeated the process with Inca Gold Gilder’s Paste. 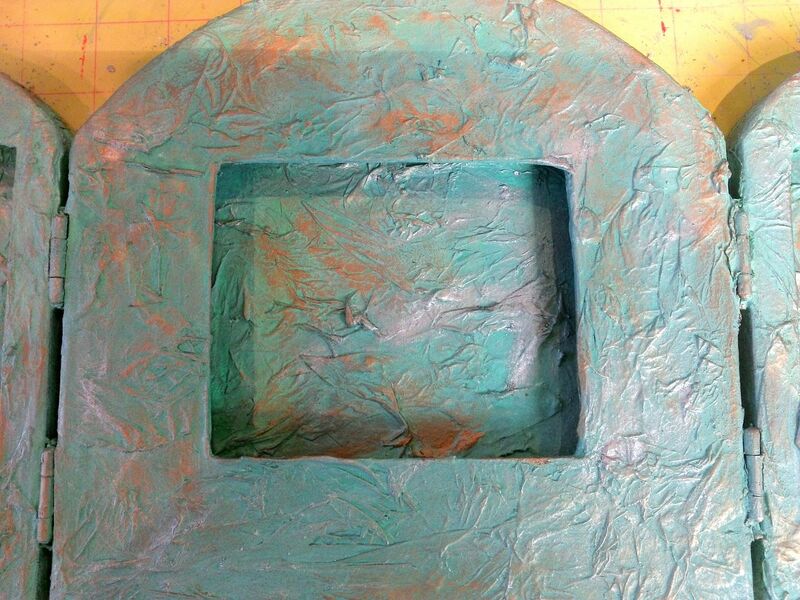 To add more texture, color and to create a frame effect, I attached teal mica using Glossy Accents. 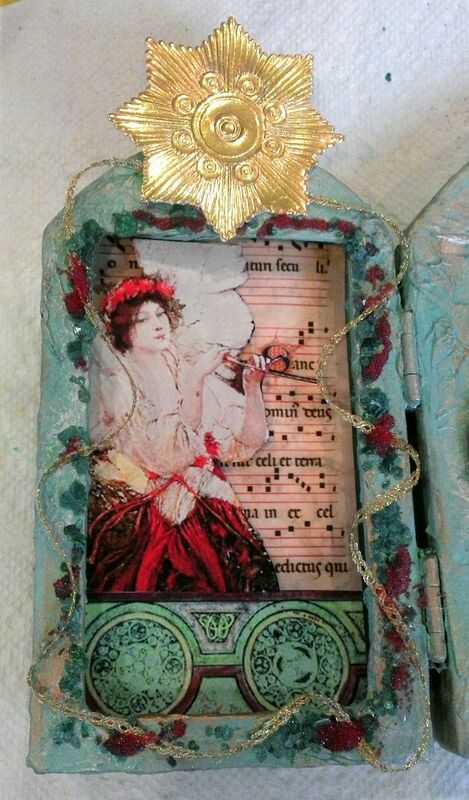 To continue the frame effect, I added red microbeads and gold ribbon. 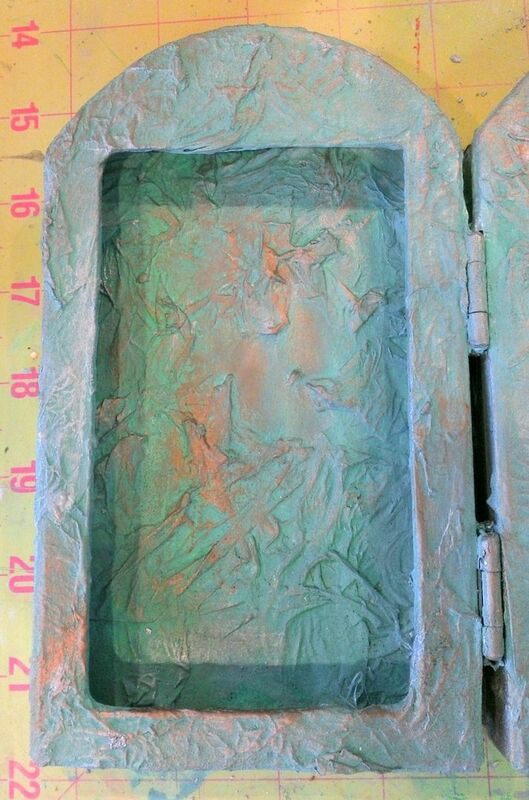 I attached the images inside the niches with foam core tape to pop up each image and create more dimension. 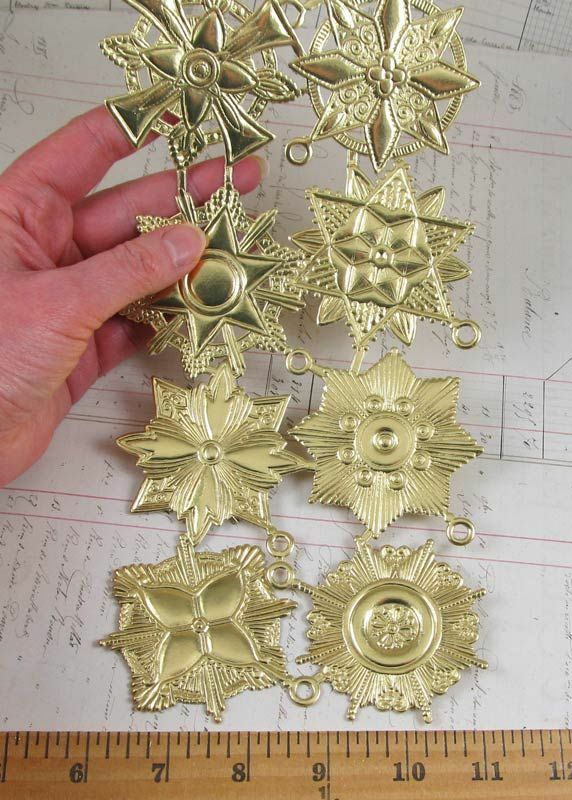 The fabulous large gold Dresden medallions at the top of each shrine section come in a set of 8. 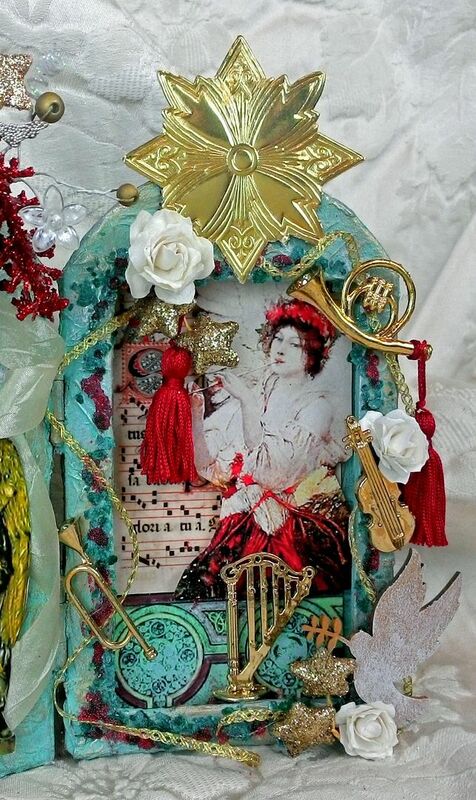 Each of the side sections are decorated the same with instruments, roses, tassels, a die-cut dove and gold stars. 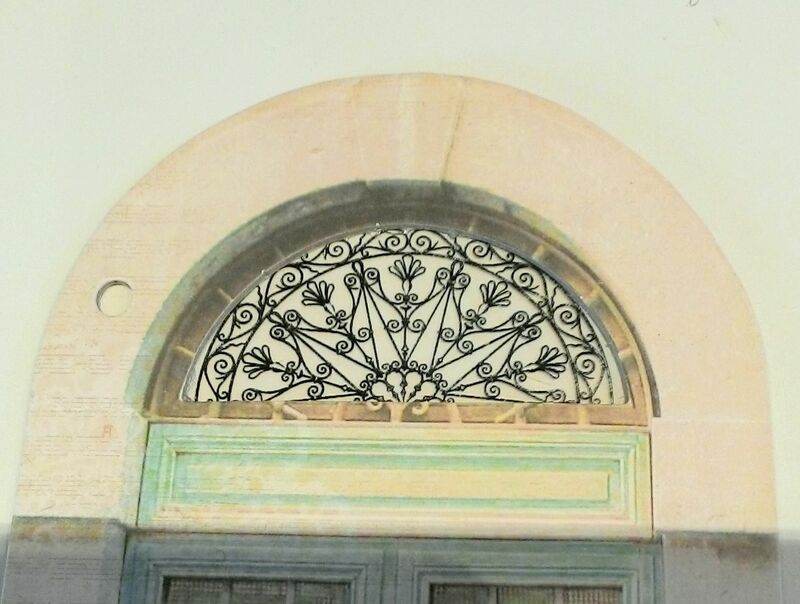 The die-cut dove is painted gold and then brushed with white Gilder’s Paste. 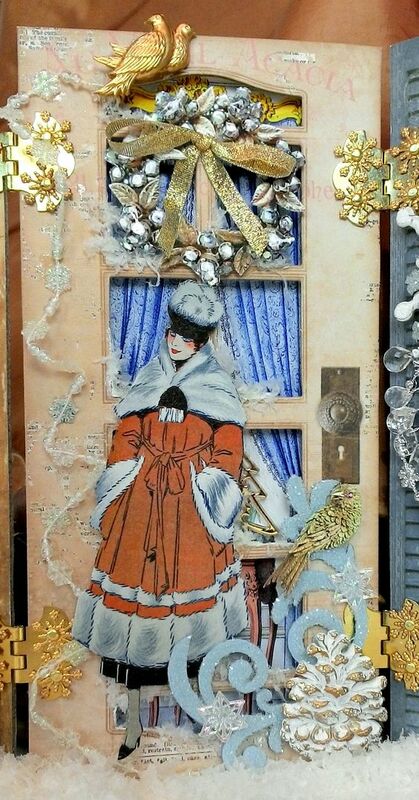 I attached all of the embellishments using E6000 glue. 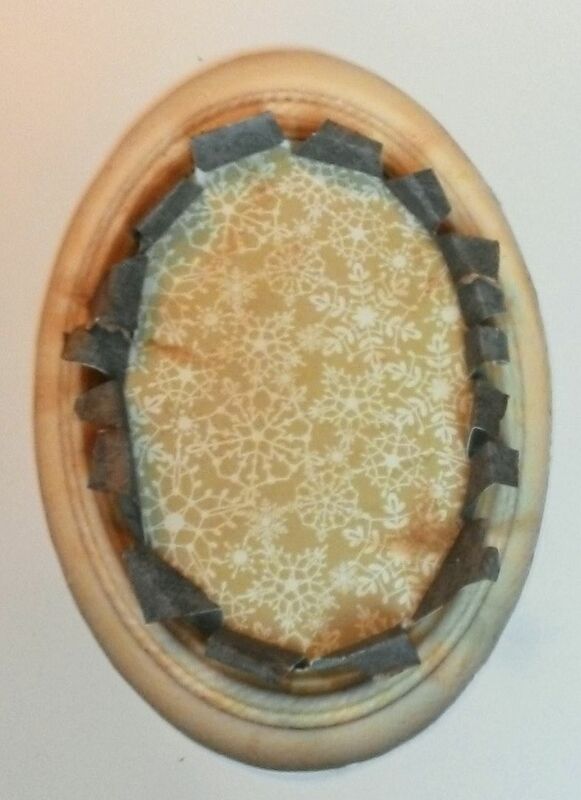 In the center section, the images inside the niche are attached with foam core tape to pop them up. 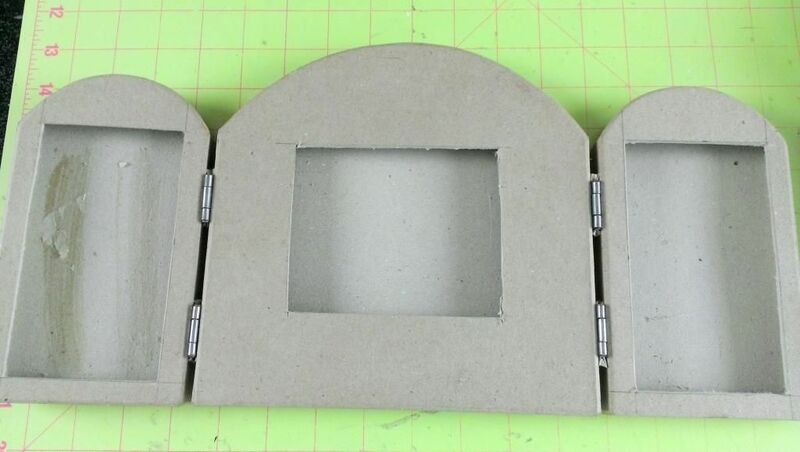 I also attached the frame with foam core tape to give it depth. 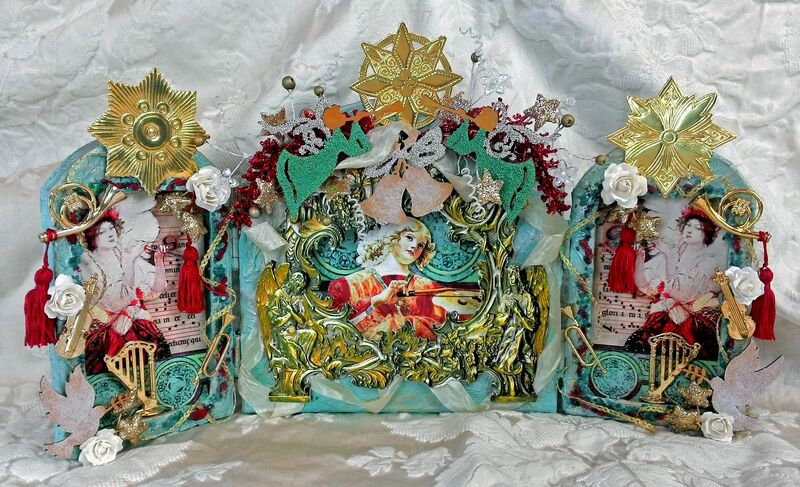 At the top are star wired sprays and red glittered sprays along with die-cut angels and a bell. 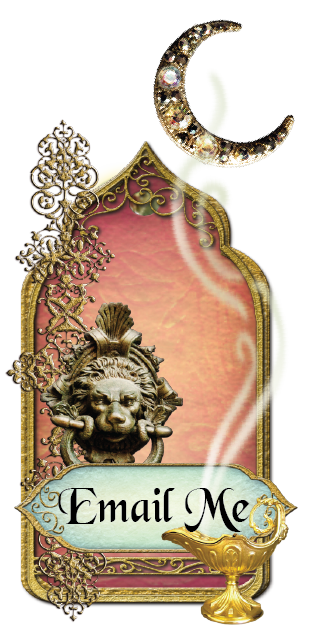 The angels and the bell were first painted gold then silver microbeads were added. I also added teal microbeads to the angels. 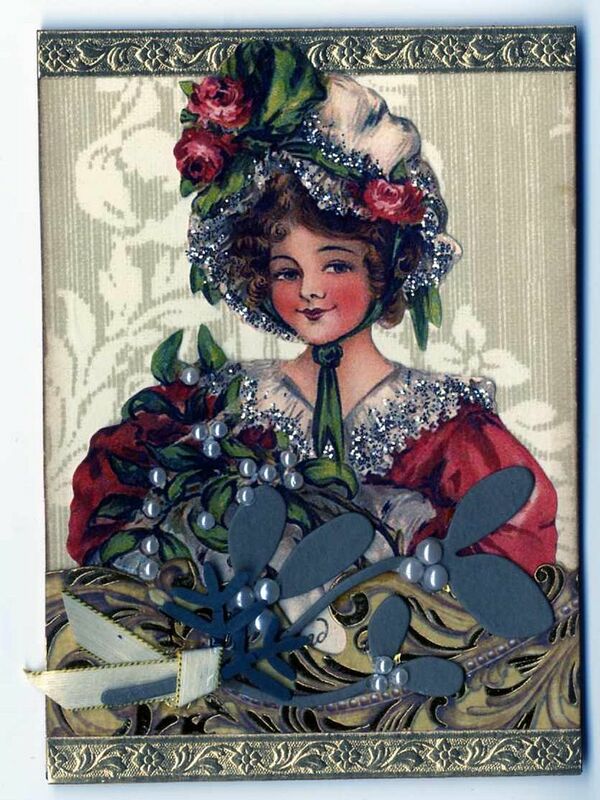 I brushed white Gilders paste onto the bell just as I did with the doves. 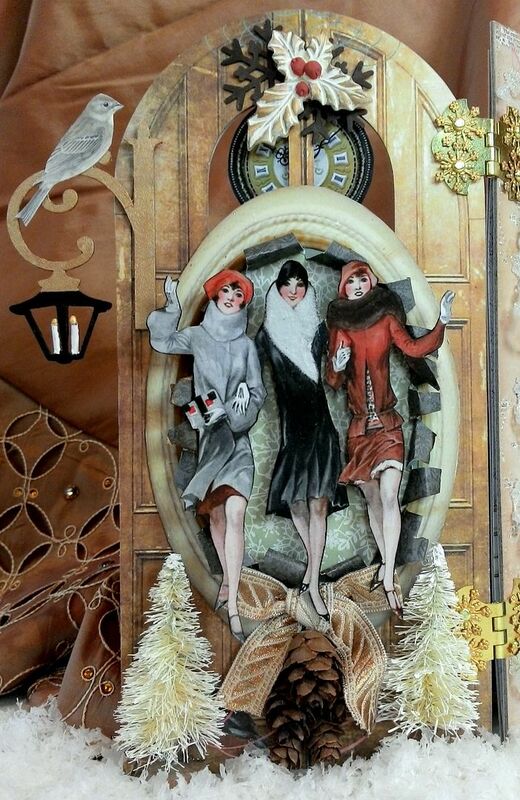 In this piece, Santa’s just been down the chimney delivering toys to all the little girls and boys. 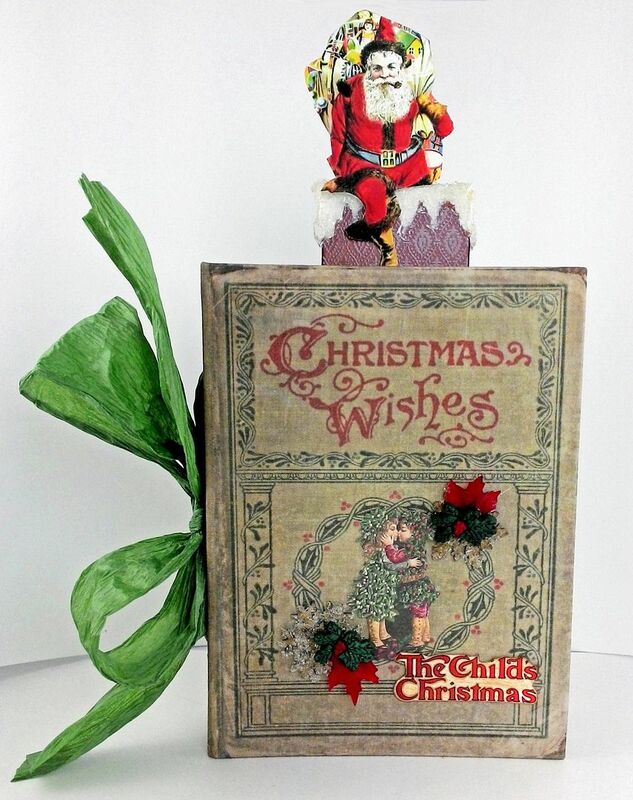 As soon as I saw the Tim Holtz Christmas Wishes Worn Book Cover I knew exactly what I was going to do. 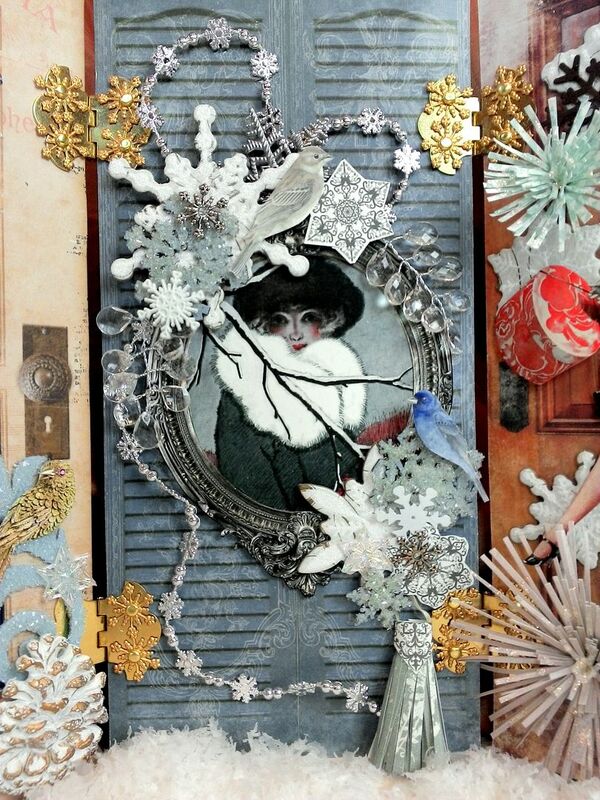 I thought this book would make a great shadowbox book with a vintage fireplace scene surrounded by toys from Santa. 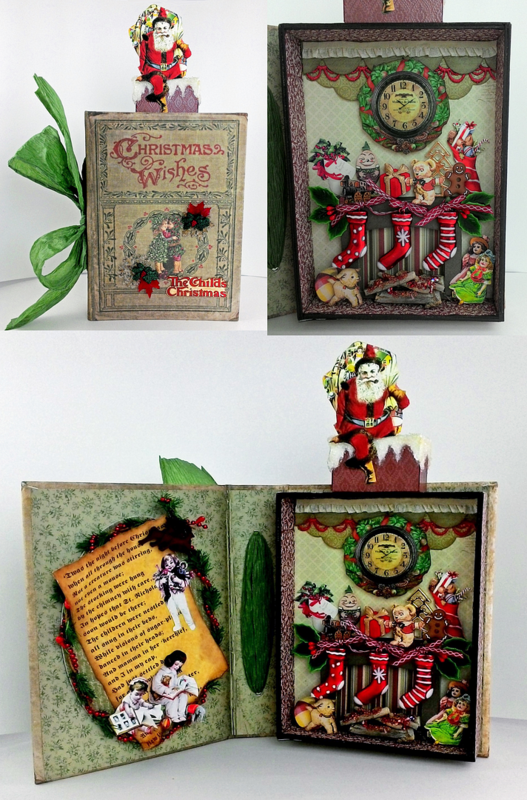 On the inside cover I made a frame paper and by braiding the mini pine and berry garland with the tiny red tree garland. 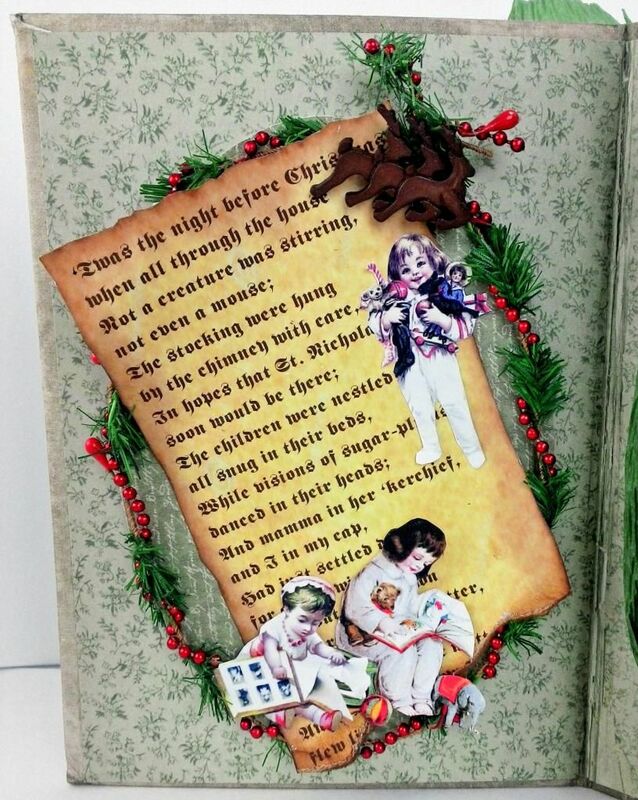 The “Night Before Christmas” poem on parchment is just something I cooked up for the project. 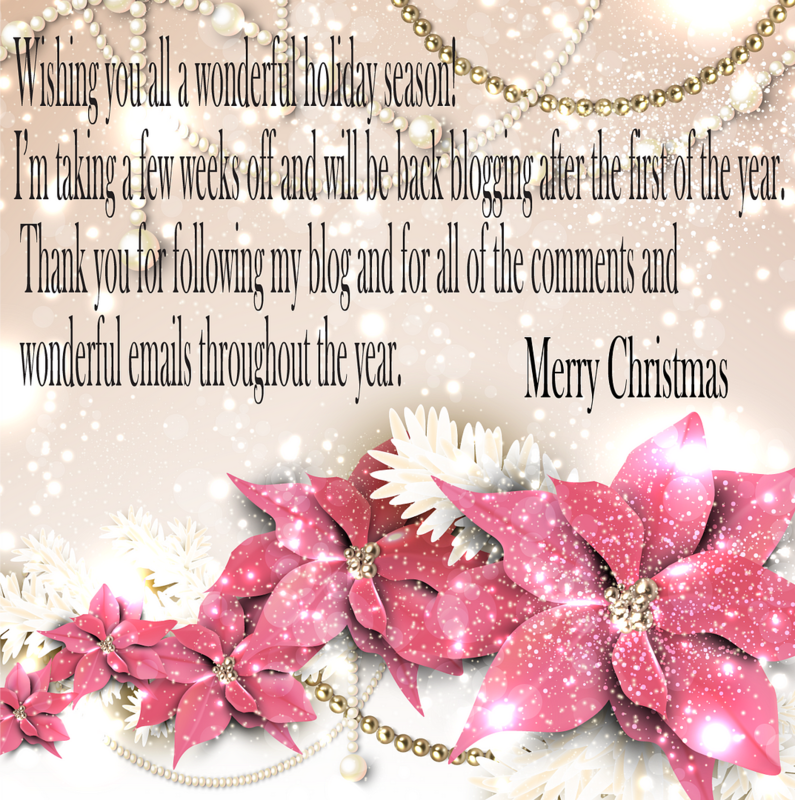 Please feel free to download the image below and use it in your artwork. 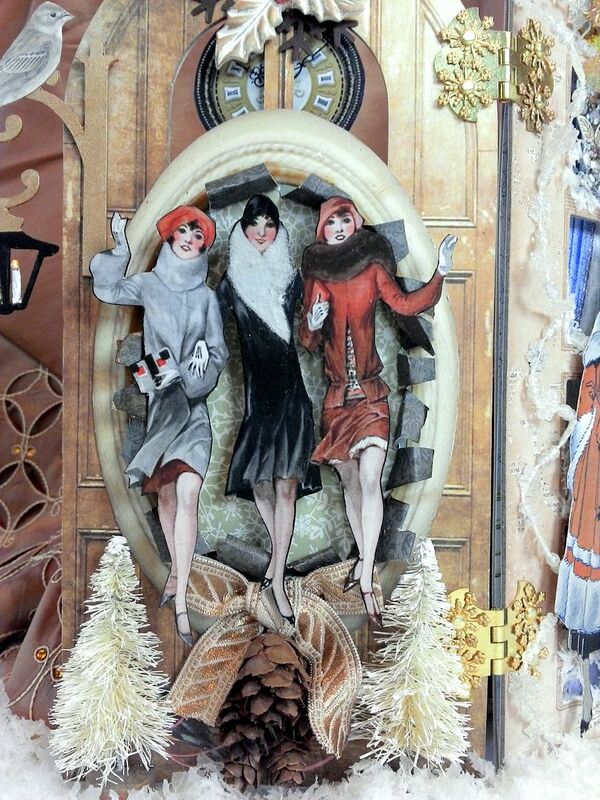 The shadow box is made out of pieces of chipboard. 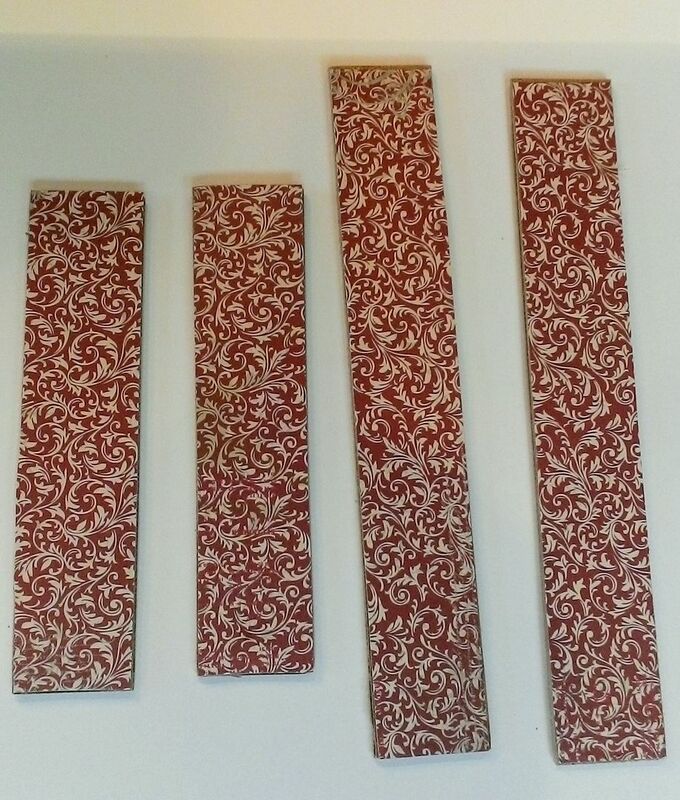 Two of the pieces measure 6 ½” by ¾” and two pieces measure 4 ¾” x ¾”. 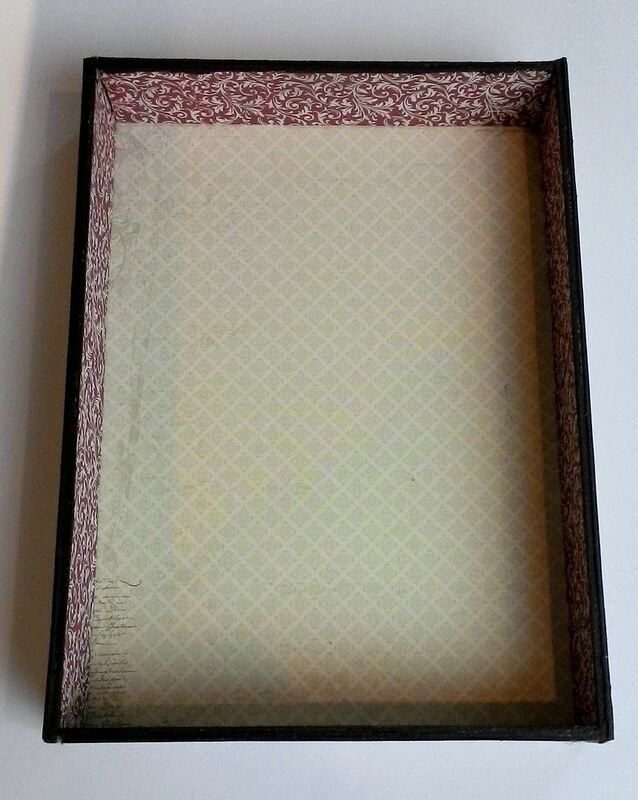 These measurements create a box that just fits on the inside back cover of the book. 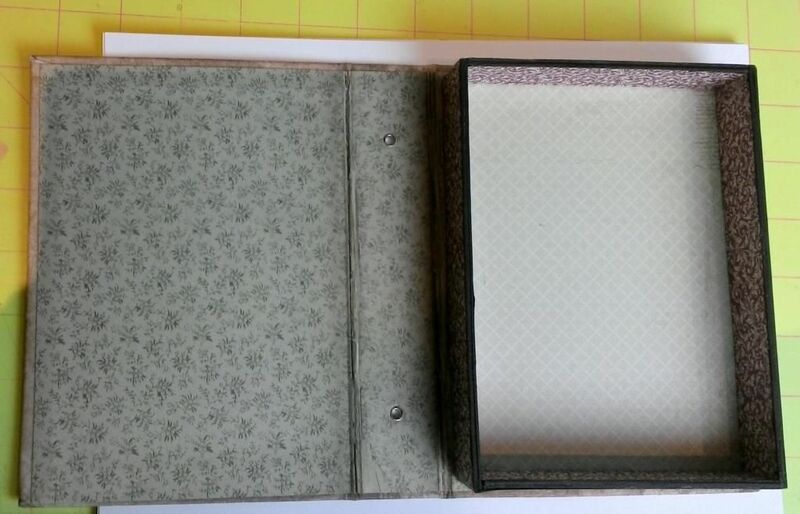 With the depth of the pieces being ¾”, it give you room on the other side of the cover (where the poem is) for bulkier embellishment and still allows for closing the book. 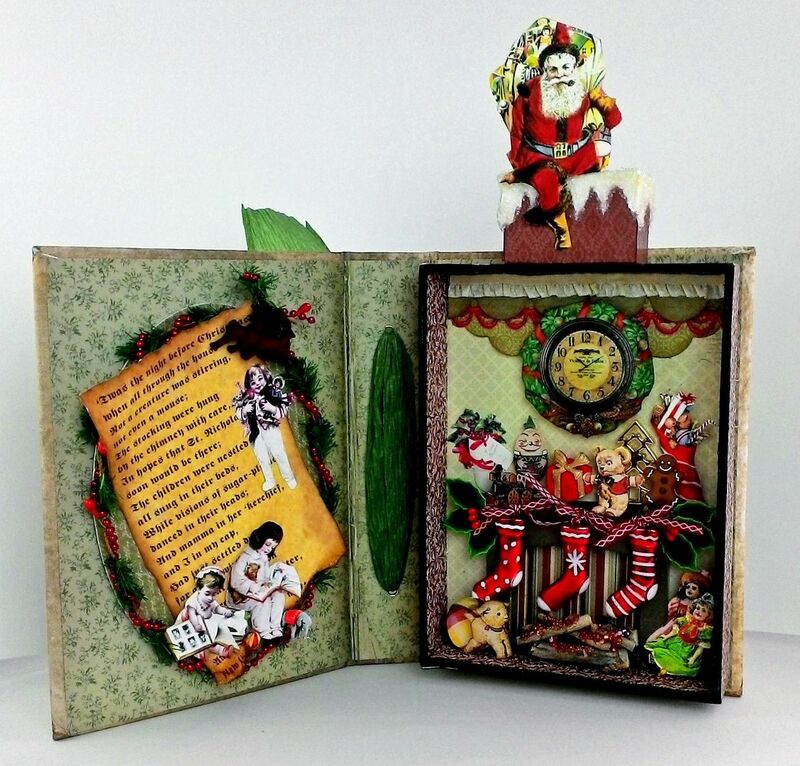 I painted the edges of the chipboard then covered it in paper from the St. Nicholas paper pad. 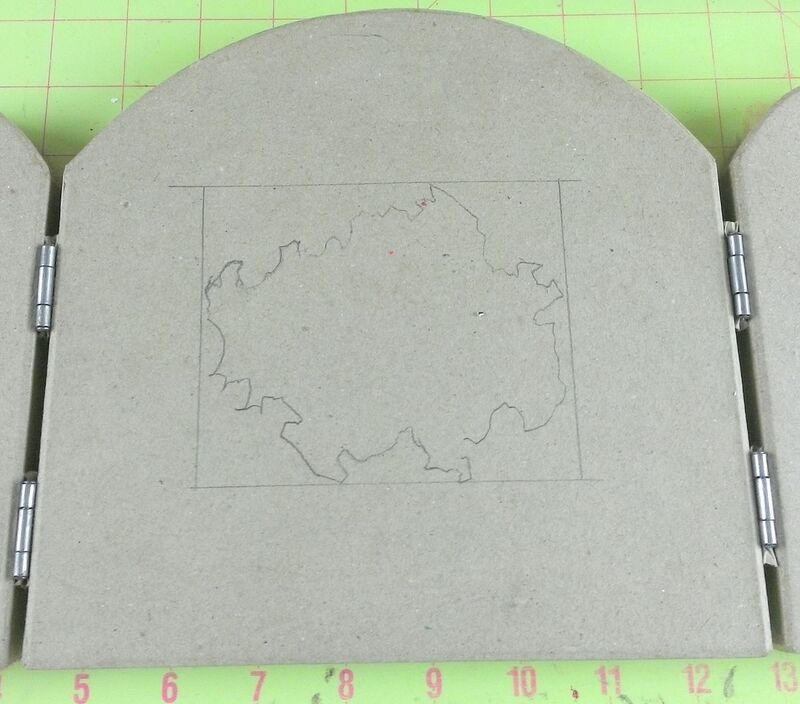 Next, I glued the pieces together and then backed the box with more paper from the paper pad. The final step was to glue the box into the book. The chimney is made from chipboard. 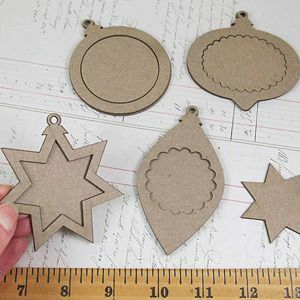 Two of the chipboard pieces measure 2” x 1 ¼” and two pieces measure ¾” x 1 ¼”. I inked the edges of the chipboard then covered it with paper. 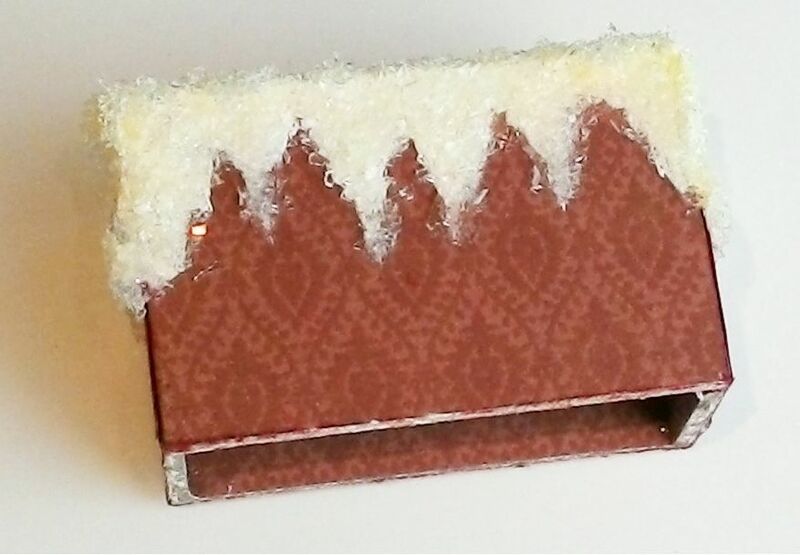 To create the look of snow on the chimney, I first used white paint. The paint was almost dried out which made it easier to apply it thickly. Once the paint was dry I used Glossy Accents to add an icy look. 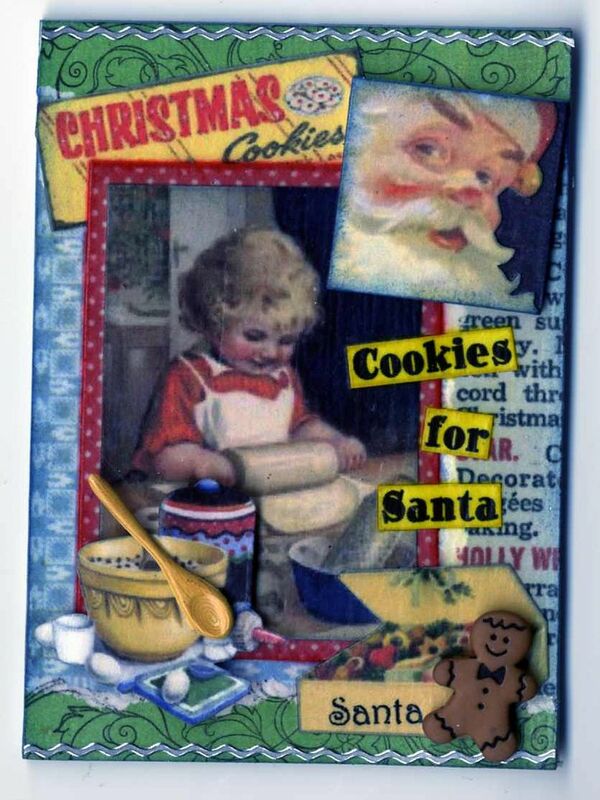 The final step was to attach Santa to the chimney and to glue the chimney to the top of the shadow box. I used color pencils to make his suit a darker red. 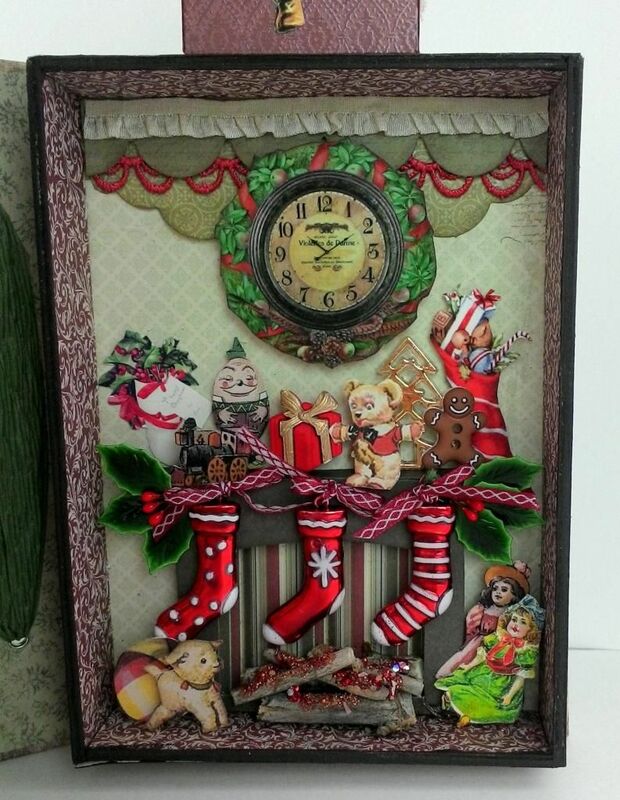 At inside top of the box I used a combination of borders that were in the paper pack and ribbon. 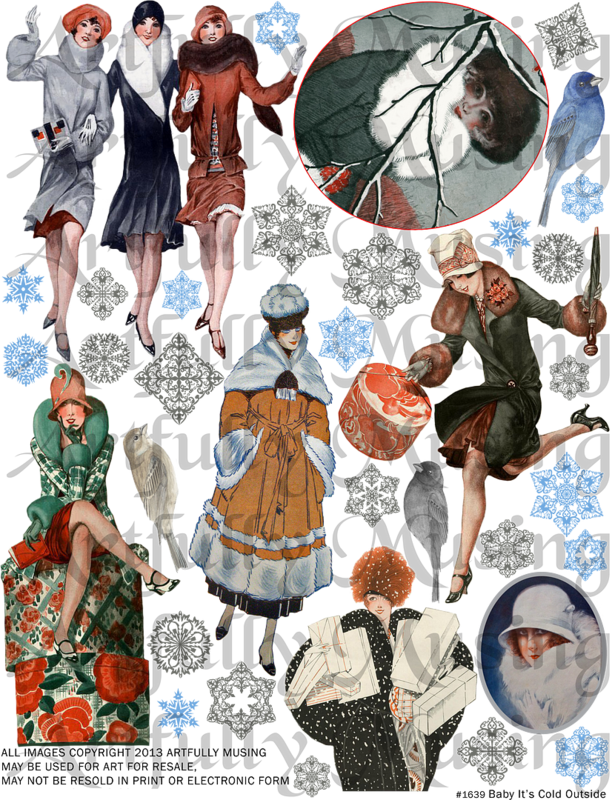 I added toys, stocking and the clock images that came from various collage sheets. 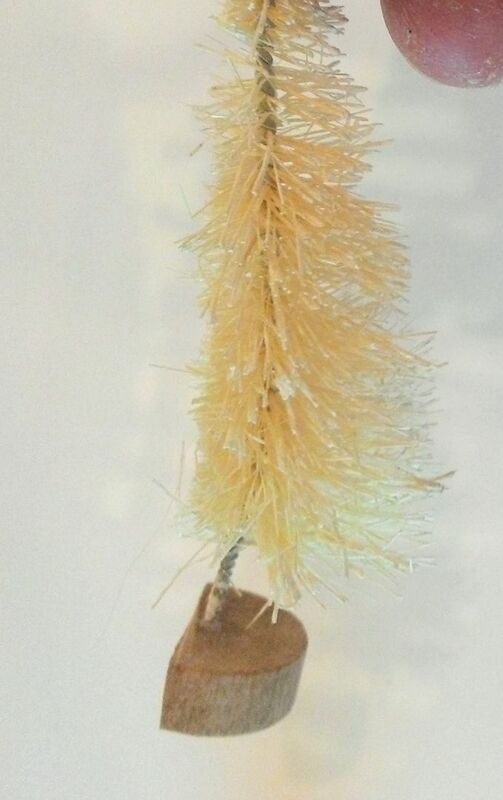 Hanging from the fireplace are mini stockingornaments. 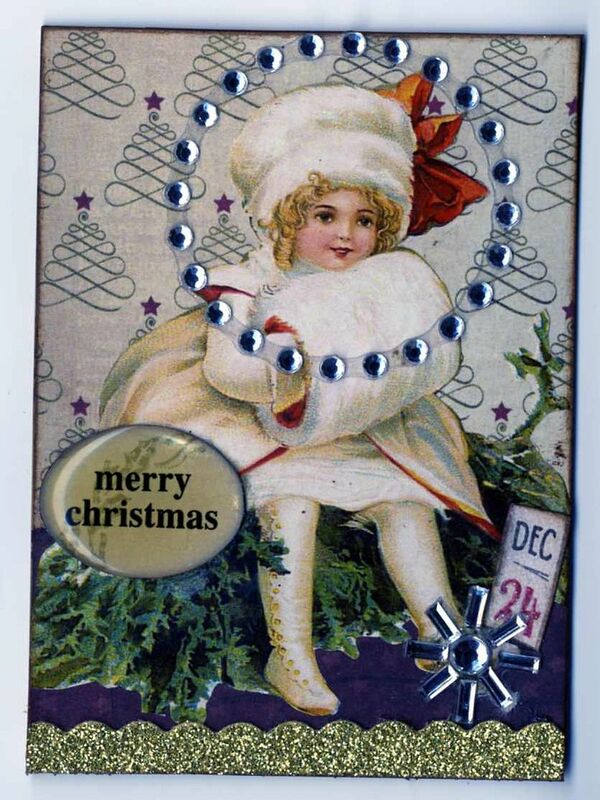 I also used various buttons and holly picks. 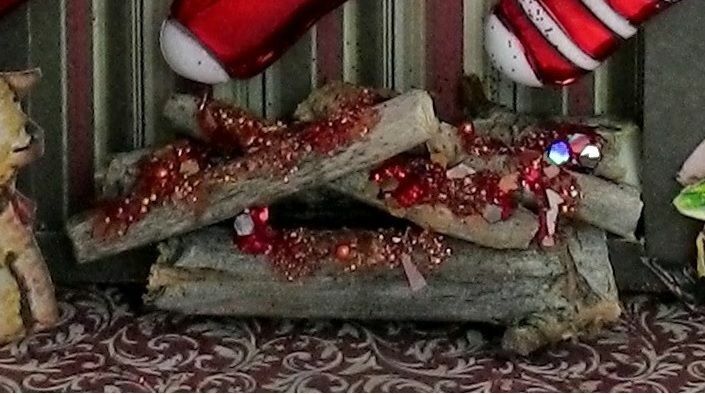 The logs are made from sticks and topped with orange and red Dazzlers (from Glitter Art Institute) to look like glowing embers. 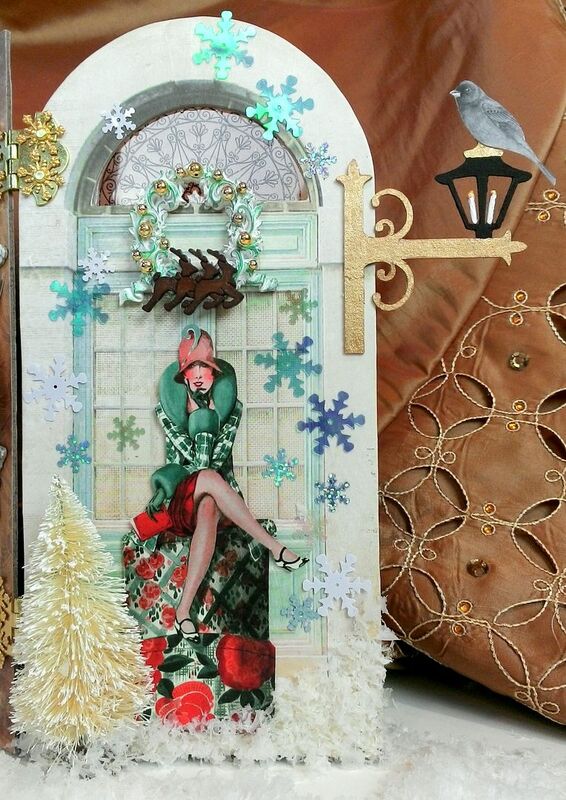 The fireplace mantle is a chipboard die cut that I covered with paper. I also cut an extra strip of chipboard for to create a top to the fireplace. This gave me room to put items on the top. I used 3 layers of foam core tape to attach the fireplace to the back of the shadow box and to make it pop off the back. 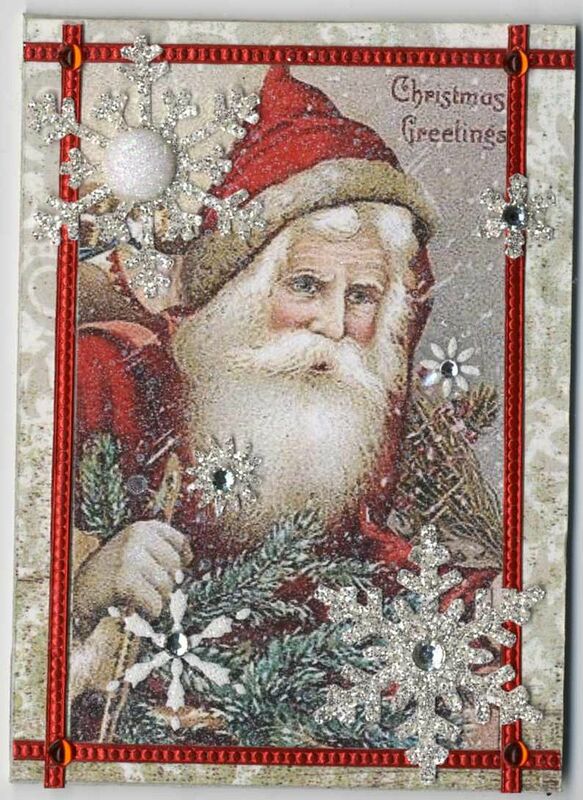 This completes the happy Christmas scene! 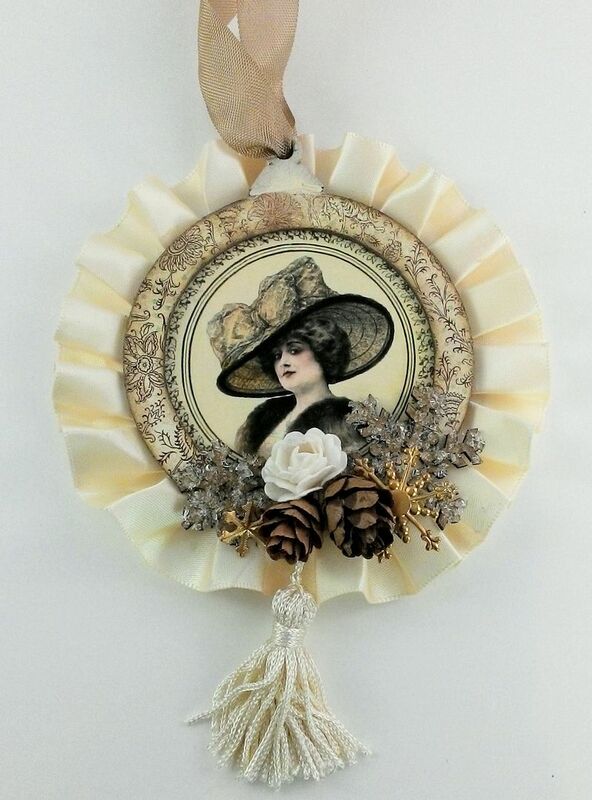 The ladies from my Parfumerie Collage Sheets are on display in these Edwardian Themed Christmas ornaments. 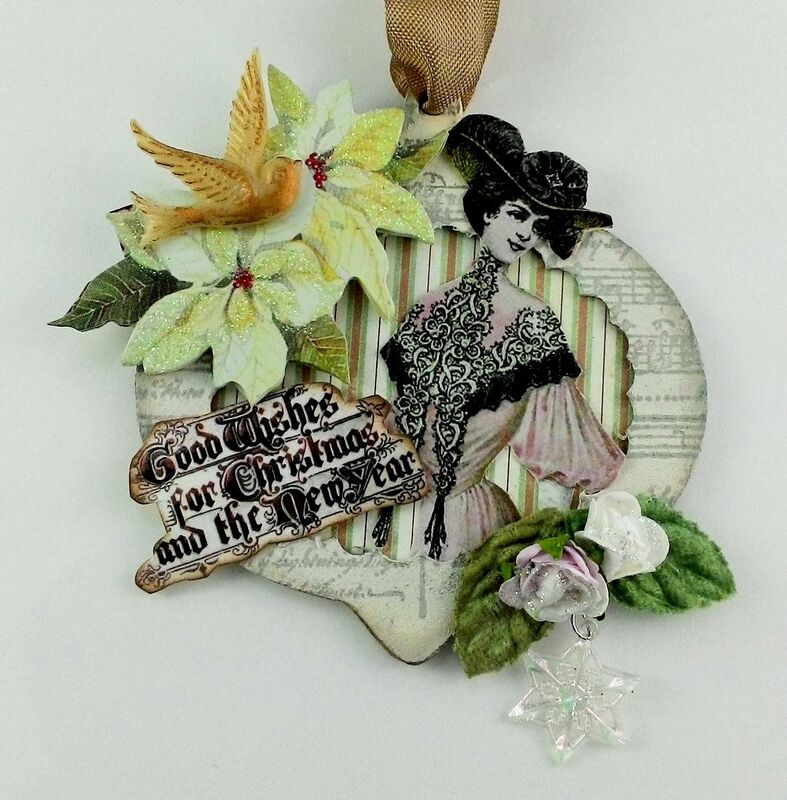 I love the non-traditional soft pastel colors from the Cherish 6x6 paper pad that I chose for these ornaments. 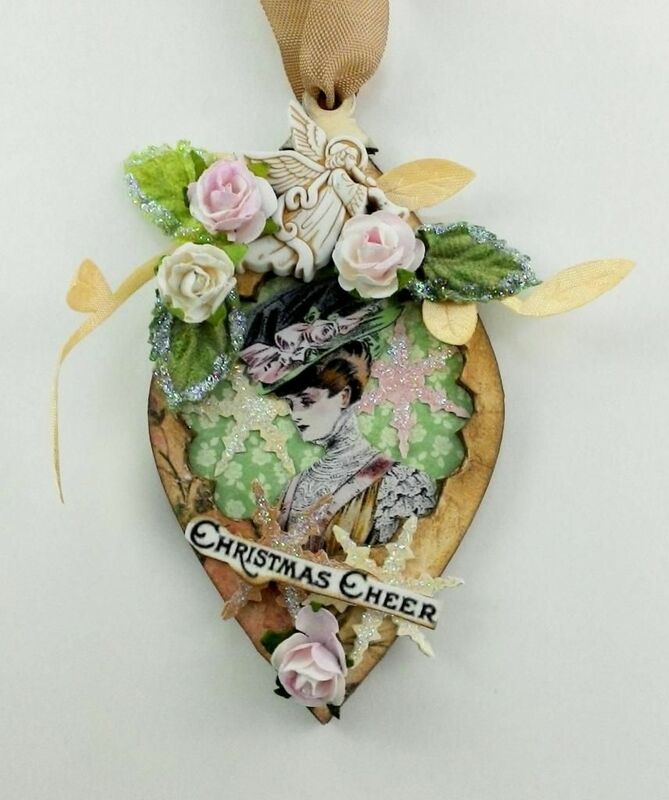 The base comes from a set of layered chipboard ornaments. 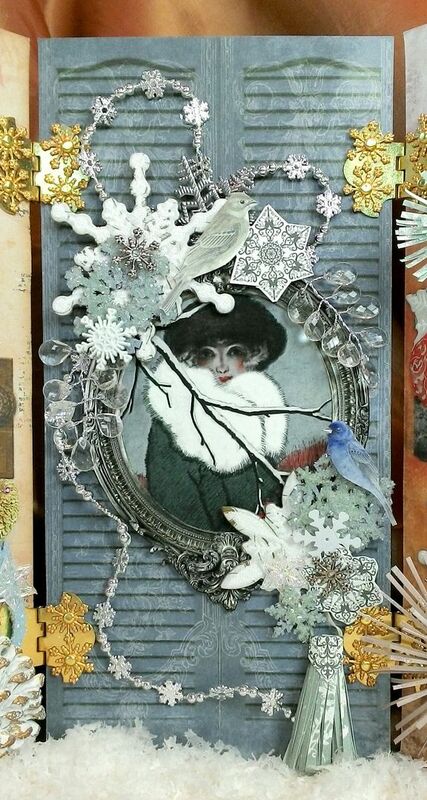 The white poinsettias are from the Season’s Greetings Vintage Dazzlers (layered glitter stickers). 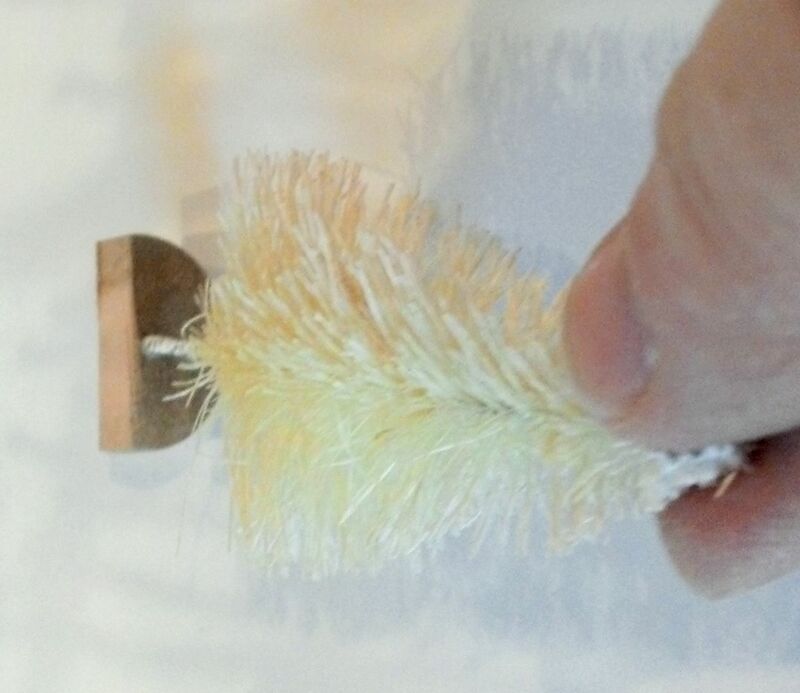 The cream resin sparrow is colored gold using Gilder’s Paste. 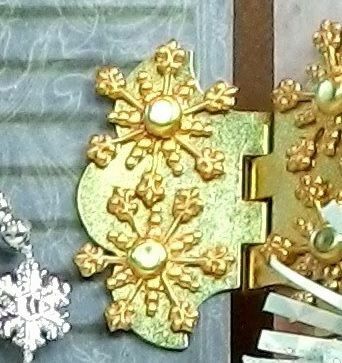 The sparkle on the snowflakes (cut out of the Cherish papers using a snowflake punch) and the leaves comes from Diamond Stickles. 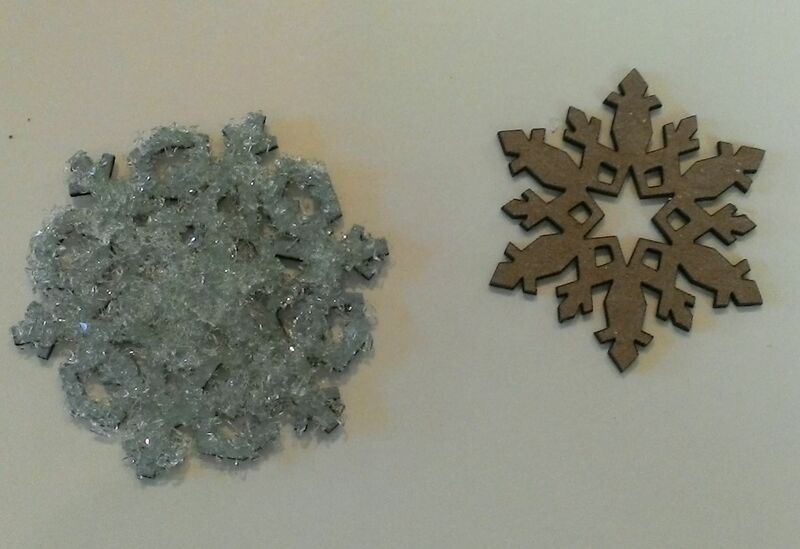 To give the snowflakes more support I glued together 3 layers. 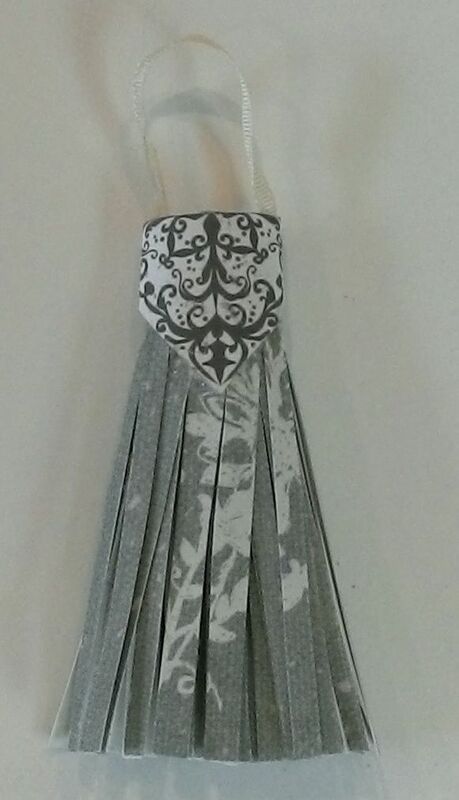 I thought the pleated ribbon was a perfect accent to the round ornament. 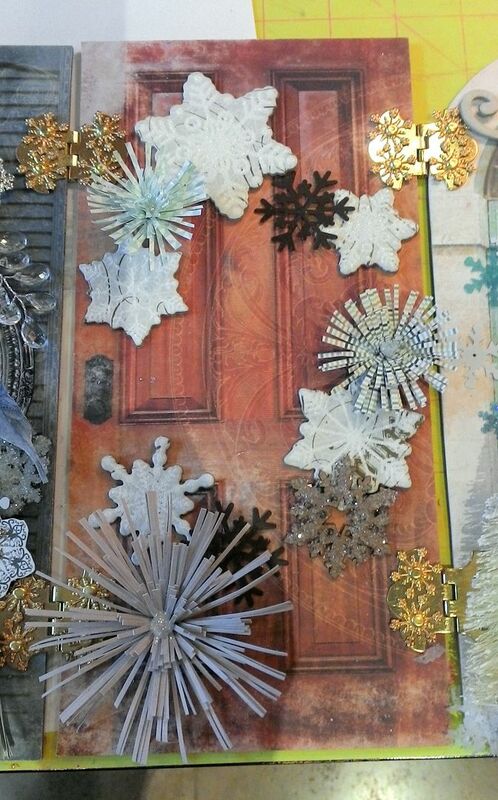 Just as in the “Baby It’s Cold Outside” doorbook, I added sparkle to the chipboard snowflakes with Diamond Dust. 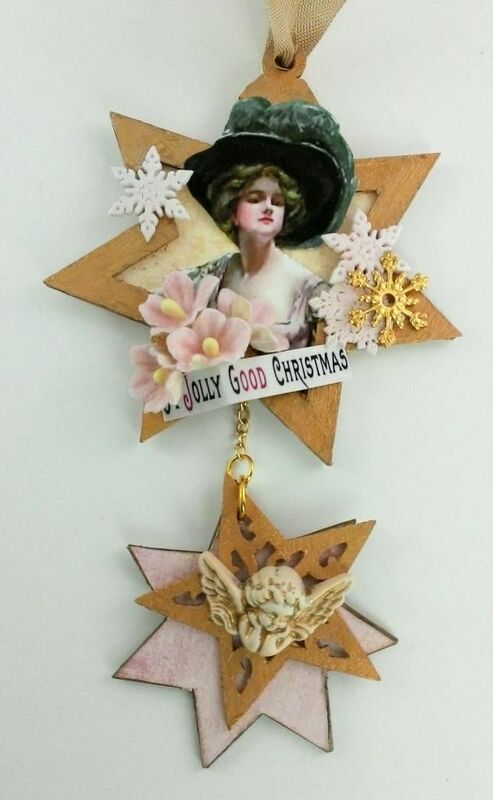 I attached the smaller punch out star to the larger star using a chain and added a Fancy Chipboard Star Cut-out for more detail.